The white facade overlooks a bright square, while infinite stairs descend from the hilltop nearly all the way to the sea at suSiccu, one of Cagliari's marinas. 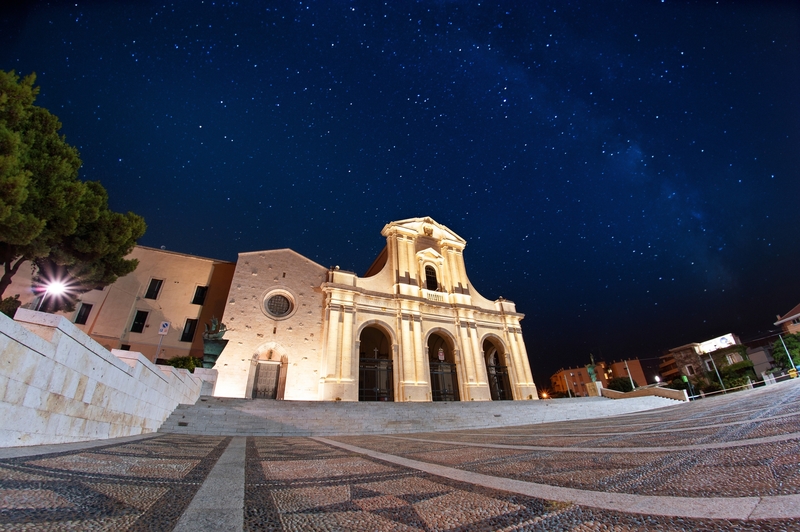 After centuries of rebuilding and renovations, Nostra Signora di Bonaria, along with the 14th century sanctuary to the left of the church, is today the island's Christian temple par excellence. Legend has it that in 1370, in the middle of a storm, a ship jettisoned her load. The storm calmed as soon as a large case was thrown overboard, before floating to the shore in front of Bonaria hill. Inside was a wooden statue of the Madonna with a child in her arms and a candle in her hand, which remained miraculously alight. The whole of Sardinia was soon worshipping the statue, which is now kept in the altar of the small sanctuary, an early Sardinian example of Gothic-Catalan architecture built by Alfonso d'Aragona (1324) during the Pisan siege and donated to the Mercedarians. The monks built their convent, still inhabited today, next to the church. An arch joins the small sanctuary to the majestic basilica, begun when the Mercedarians decided to construct a larger church in honour of the Virgin. The first stone was laid in 1704. 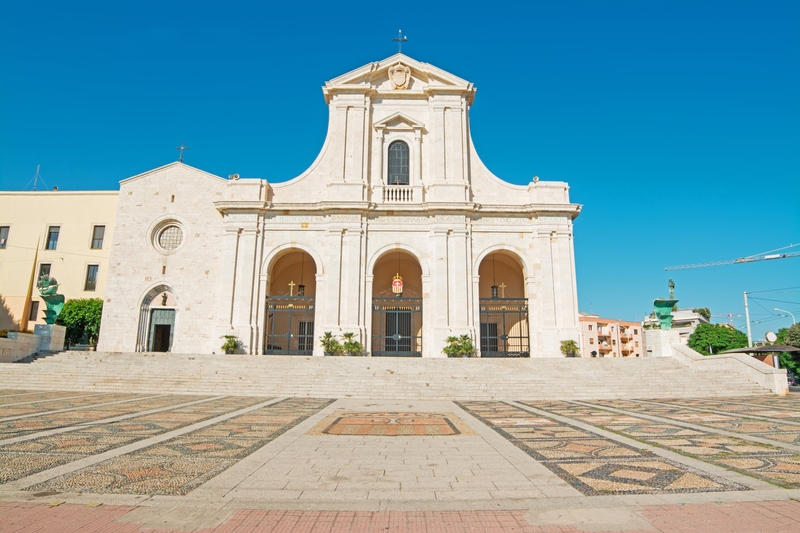 After a long construction project, it was consecrated and named as a Basilica by Pius the 9th in 1926. It was damaged during the war, repaired, and most recently restored in the late 20th century. The well-lit interior is in the form of a Latin cross, with three naves separated by arcades and a wide transept. The cross point of the naves is topped by a dome. On the altar, you will find a reproduction of the legendary statue. Paintings, statues, reliefs and a rare pipe organ fill the ten chapels and transept. The facade and the square reproduce the emblem of the order of Mercedes.To the sides of the square are bronze monuments: a ship fighting the winds and the Madonna watching over it. In the atrium, you can also see the sculpture of Pope Paul the 6th, who visited the basilica in 1970. 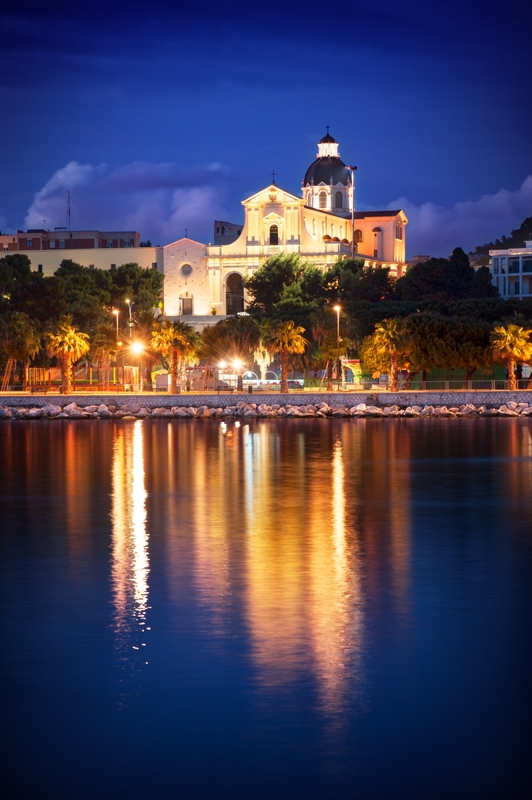 He was followed by Saint John Paul the 2nd (1985), Benedict the 16th (2008) and Argentinian Pope Francis the 1st (2013), marking the links between Cagliari and Buenos Aires, named by the Spanish conquistadores precisely in honour of the Virgin of Bonaria. The convent is home to a museum with three rooms containing votive offerings by sailors, gifts from sovereigns, prelates and illustrious figures such as model ships, golden crowns, goblets and precious relics, including a silver anchor offered by Margherita di Savoia. These are accompanied by sabres, coins, porcelain and even sounding leads and bombs. 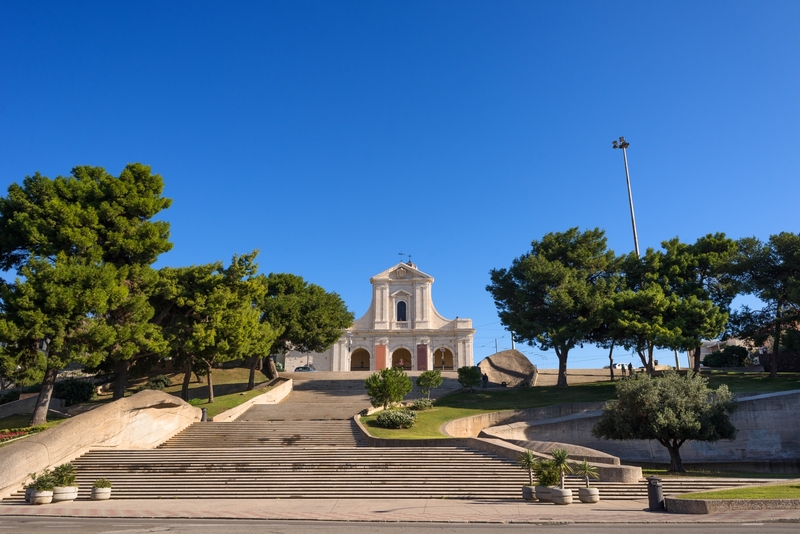 Next to the basilica is the monumental cemetery, a sumptuous open-air art gallery, only a short walk from the island's oldest paleo-Christian sanctuary, the Basilica di San Saturnino. La Basilica si trova a Cagliari, sul Colle di Bonaria, accanto al Cimitero Monumentale. Domina l’omonimo colle. La basilica si trova sull'omonimo colle, a sud-est della città, visivamente individuabile la sua imponenza e facilmente raggiungibile da viale Bonaria.